Yum China Holdings Inc is buying a controlling interest in online food delivery company Daojia.com.cn for an undisclosed sum. Founded in 2010, Daojia.com.cn is an online food delivery service provider focused on higher-end orders in major cities in China, including Beijing, Shanghai, Shenzhen and Guangzhou. It also operates food delivery service Sherpa's, and has partnered with over 6,000 brands and restaurants, providing services for over one million family customers. China Money Network reports that Daojia.com.cn previously raised a US$2 million series A round from Morningside Venture Capital in 2010. It secured a US$7.5 million series B round from CDH Investments in 2011, and completed a US$10 million series C round led by JD.com Inc and Morningside in 2013. In 2014, the company received a US$50 million series D round led by JD.com and Macquarie Group Ltd, according to its website. 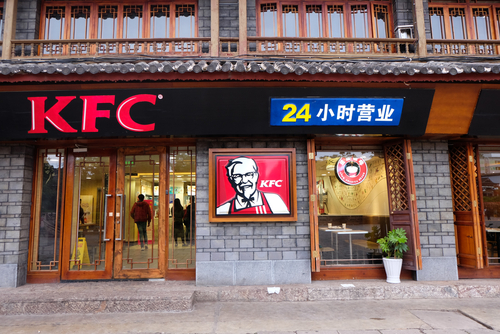 Be the first to comment on "Yum China Buys Chinese Food Delivery Company"